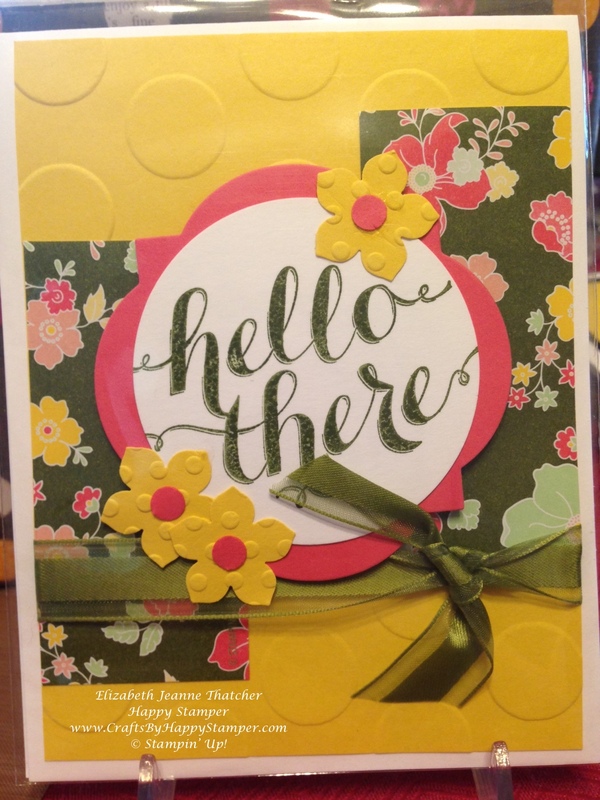 I hope you like flowers because this card uses some of the wonderful All Abloom Designer Series Paper! It’s SOOOOO pretty! If you haven’t purchased it yet, you should definitely get on it! YEAH!!! IT’S Thursday!!!! I have my stamp club tonight, and I’m SOOOO excited! I’ll share a pic of those cards with you tomorrow! You can only buy this set with an order of 150 or more. Previous Layout 6: Thanksgiving 2013 is finally in an album! Next Layout 7: Christmas is so much fun with coordinating stamps! You’re a great cheerleader! Thanks for your support!